The legendary Steve Spoljaric claimed an astonishing sixth Alan Wookey Medal as the champion Turf 1 player of the season in the Dandenong District Cricket Association at the vote count last Wednesday night. 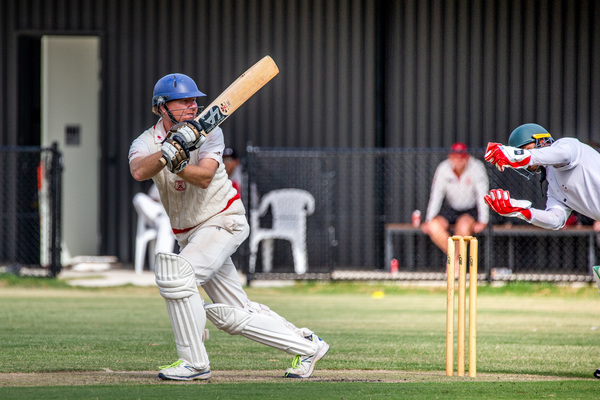 The former Parkfield and Cranbourne champion and now Springvale South star enjoyed yet another mammoth season for the Bloods, with the 41-year-old continuing his truly extraordinary cricket career in 2018/19. ‘Spolly’ – bowling less this season, mainly due to the fact that the Bloods have been so well served by their spinners – was in vintage touch with the bat in a brilliant Turf 1 campaign, cracking 728 runs during the home and away season, including three centuries and five half-centuries, as well as contributing seven wickets. The association legend – who has now won six Wookey medals since 2010/11, to go along with a Ryder Medal in 2007/08 while playing for Hawthorn-Monash in the Premier competition – narrowly pipped Hallam Kalora Park star Jordan Hammond by just a single vote late in the count, while St Mary’s all-rounder Ruwantha Kellepotha finished third despite the Saints finishing last on the table, in what is a truly brilliant effort. Leading with just two rounds to go, Hammond – who also got the chance to play in the Victorian SuperSlam with Casey-South Melbourne – enjoyed a stellar season for the Hawks, notching up almost 500 runs to go with 36 wickets. After each Turf 1 round, the two umpires place a 3,2,1 vote for who they deem to have been the best players on the field, with the maximum a player can receive in a round being six votes. The DDCA also announced its official Turf 1 Team of the Year on the night.